The Taiwanese harbour city of Kaohsiung has launched a new hybrid electric ferry, which could revolutionise marine passenger transport across the region by curbing greenhouse and diesel emissions. Kaohsiung recently re-launched the popular Cijian Island passenger ferry, retrofitted with a Visedo electric propulsion system, replacing the original diesel engine. It heralds Asia’s first hybrid electric ferry and, if successful, the Kaohsiung City Government plans to retrofit the rest of its diesel fleet to help reduce pollution levels around Taiwan’s largest harbour. 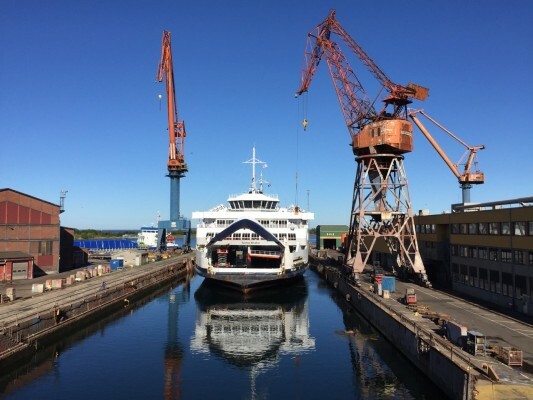 Visedo OY, a leading Finnish manufacturer of electric drivetrains for marine vessels, commercial vehicles and heavy duty applications, worked alongside Taiwan’s Ship and Ocean Industries R&amp;D Center, also known as SOIC, to complete the retrofit. 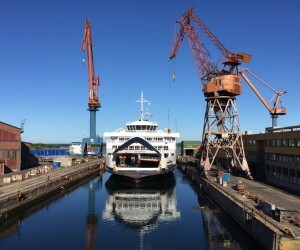 Visedo retrofitted the 100-tonne, 23m-long vessel with an electric system to replace the original 300HP diesel engine. The powertrain was designed to ensure pure electric cruising for half the ferry’s operation time and, with fast shore charging, this pure electric percentage can be higher.